Every day, Urgent Action Fund provides rapid response support to human rights defenders working for gender justice and women’s rights. Our advocacy work strives to ensure that international human rights standards center the experience of women and gender non-binary human rights defenders and protect their ability to carry out their activism safely and freely. Urgent Action Fund believes that the United States’ decision to withdraw from the UN Human Rights Council ultimately weakens the capacities of both the Human Rights Council and the United States itself to support human rights and human rights defenders and we stand opposed to the decision to withdraw. For this reason, we were especially perplexed when the office of UN Ambassador Nikki Haley wrote to us in an attempt to pin the blame for the withdrawal on human rights organizations themselves, including our organization. Last Friday, together with seventeen other highly respected human rights organizations including Human Rights Watch, Amnesty International, and others, we shared our response to this spurious blame with the Ambassador’s office. That letter follows. We write in response to your letter of 20 June 2018, in which you suggest that NGOs are somehow responsible for your decision to withdraw from the Human Rights Council. The decision to resign from the Council was that of the US administration alone. We had legitimate concerns that the US’s proposal to reopen the Council’s institutional framework at the General Assembly would do more harm than good. We see it as our responsibility to express those concerns and would do so again. 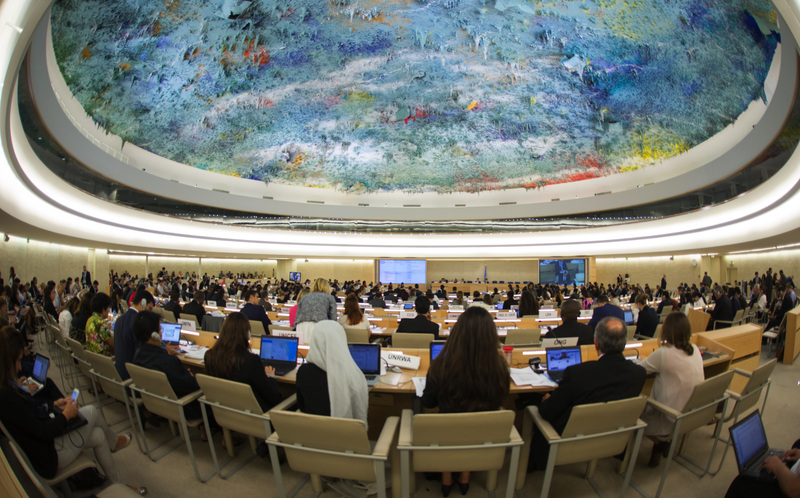 Although the Human Rights Council is not perfect, it does play an essential role. It makes a significant contribution to strengthening human rights standards, providing protection and justice to victims, and promoting accountability for perpetrators. The Council and its mechanisms have played a key role in securing the freedom of detained human rights defenders, and investigating rights violations in Syria, Yemen, Burundi, Myanmar, South Sudan, Sri Lanka and North Korea, to name but a few. It continues to address thematic issues of global concern including non-discrimination, freedom of expression online and offline, freedom of assembly, housing, migration, counterterrorism, and the protection of the rights of women, rights of LGBTI people, and rights of people with disabilities. As you know, we are independent organizations that do not work on behalf of any government. We focus on building support for policies we believe will better the lives of those most affected by abuse – which does mean we are sometimes opposed to proposals laid out by certain governments, or the proposed means of pursuing them, especially when we believe such an initiative could be more harmful than not. With regard to the Council, our goal continues to be strengthening and supporting reform efforts that are ongoing in Geneva to ensure that they are informed by the experience and expertise of national and regional level actors, including rights-holders, human rights defenders and other civil society actors, victims, survivors (and their representatives). We are committed to the international system, including the Human Rights Council, and to ensuring the system is fit for the purpose of promoting and protecting human rights. We will continue to work towards those goals.